Tom Hardy | No Chic. Just Geek. You could probably argue that the world, or at least that part of it concerned with cultural matters, tottered off some kind of precipice a couple of years ago with the release of Suicide Squad, a film largely concerned with Batman and Flash villains, sent out into a world which had yet to receive a proper Batman or Flash film from the same producers. 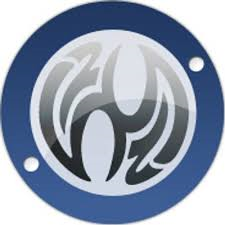 We seem to be skipping straight to the spin-off, which probably says something about the pace of life in the modern world – or maybe it’s just that people are more interested in bad guys nowadays, which says something else rather different and somewhat more worrying. Are we dealing with the same sort of thing when it comes to Ruben Fleischer’s Venom? Part of me wants to say yes, for I am of that generation for whom Venom (the character) is essentially a bad guy from the Spider-Man comics. Doing a whole movie about a character who is basically a demented pool of alien slime who spends most of his time lurking down dark alleys planning how to eat people also strikes me as… well, I can’t deny it has a certain originality, but I would argue that we’re losing our grip on the essential moral core of the superhero story in this case. But, on the other hand, this character has a seriously dedicated fan-base. ‘This is the first really popular movie in a while,’ said the person on duty at the cinema (their job was to hand out not very good free comic books based on the film). I had to admit to a certain degree of anticipatory curiosity myself: which voice was Tom Hardy going to use in the role? Bane? Ronnie Kray? The Welsh accent? Patrick Stewart? Hardy plays Eddie Brock, a loose-cannon investigative reporter living in San Francisco, who at the start of the film manages to torch his own career while investigating Carlton Drake (Riz Ahmed), a tech magnate with a surprisingly diverse portfolio. Brock’s use of sensitive material pinched from his lawyer girlfriend (Michelle Williams) to make some unsubstantiated allegations results in him losing his job, his apartment and his relationship, which is all rather unfair as the film makes it clear that Drake really is up to some dodgy stuff, specifically bringing back samples of alien life for use in biological testing. Well, I say ‘samples of alien life’, they look more like ‘splashes of multicoloured CGI vomit’. It turns out the aliens are symbiotes which have to bond with a local organism in order to really survive on Earth, and Drake has terrible trouble trying to find compatible hosts from amongst the local population, winding up luring in homeless people under false pretences. As chance would have it, the now washed-up Brock hears about this and decides to investigate once more, sneaking into Drake’s facility and – wouldn’t you just know it – coming into contact with one of the symbiotes, which immediately takes up residence in his system. Drake wants the alien back. The alien doesn’t want to go back. Brock isn’t quite sure what he wants, but the ability to shoot tentacles out of his armpits probably isn’t it. But there are bigger issues afoot, as another symbiote is on the scene with a diabolical plan of its own – could it be up to the Brock-alien fusion, calling itself Venom, to save the day? I still can’t quite get my head around the idea of doing a Venom movie in which Spider-Man isn’t even mentioned, any more than I could doing a movie about Bizarro without mentioning Superman. Venom is basically a kind of Bizarro-Spider-Man, with extra late-80s dark kewlness: the whole point of the comics version of the character is that he was, not to put too fine a point on it, Spider-Man’s costume for a number of years, losing the gig when it was discovered he was actually a living organism (a kind of idiot’s version of this story formed part of the plot of 2007’s Spider-Man 3). Still, if you’re going to give Venom his own independent origin story, this one’s about as good as any, and the whole issue of ‘how come he can stick to walls and do whatever a spider can?’ is somewhat obfuscated by the fact that this version of the character seems to have a usefully vague set of powers. Actually, there are lots of things about which the movie is usefully vague, although perhaps I am being just a bit too generous here (yes, it’s not like me, is it?). Perhaps ‘vague’ is not the word so much as ‘conveniently inconsistent’. There’s a big plot point early on about the symbiotes only being able to fully bond with certain individuals, which is later completely forgotten as Venom and the antagonist, Riot, hop between hosts as the whim takes them. At one point we are told that the Venom symbiote is devouring Brock’s internal organs to sustain itself. Until it’s not, suddenly. Character motivations are likewise subject to unexpected and somewhat arbitrary change. Things that the film really should mention early on – like the fact that Drake has his own rocket-launching facility tucked round the back of his biology lab – never get told to the audience. In lots of ways, this film is a confusing mess. The thing that makes Venom more watchable than most of the bad late-90s comic book movies it often resembles is Tom Hardy. I have to confess, I do like Tom Hardy (not as much as many young women of my acquaintance, but I digress), and he is very good in this part, both in terms of the physical portrayal of the conflicted Brock, and of course his two vocal performances. Considering this is a movie about a cannibalistic alien monster, Hardy finds an impressive amount of comedy in the role and he certainly earns his star billing (and fee). Despite that, the weak script and uninspired visuals of the movie really mean that Venom is not up to the standard of the average Marvel Studios film. The question, of course, is one of how closely the makers of Venom are looking to align themselves with that particular project – there has been a lot of enthusiastic chatter about a potential Spider-Man/Venom team-up movie in future, even though this film has been made by Sony as a completely separate undertaking from the recent Spider-Man films (which are now made by Marvel Studios). The exact relationship, in terms of who shares a universe, remains unclear. Once again, I think this is probably useful vagueness as far as the film-makers are concerned, for they seem intent on exploiting their connection to Marvel as much as possible without necessarily giving anything back. In that sense, while Venom the character may make a big deal about being a symbiote, not a parasite, Venom the movie is on much shakier ground. There is something odd in the English mentality that sometimes makes us more enthusiastic about celebrating our narrow squeaks and mitigated disasters than commemorating our genuine national triumphs. (I’m almost tempted to suggest this because genuine English national triumphs have been thin on the ground for some time now, but I feel besieged enough right now, thanks.) Perhaps it’s just our famous national sense of fair play that makes us want to stick up for the underdog. Especially when the underdog is us. At the moment there may be very particular reasons for this sort of thing – but let’s not get ahead of ourselves. The latest example of someone getting nostalgic about a pretty bad day is the new movie from Christopher Nolan. 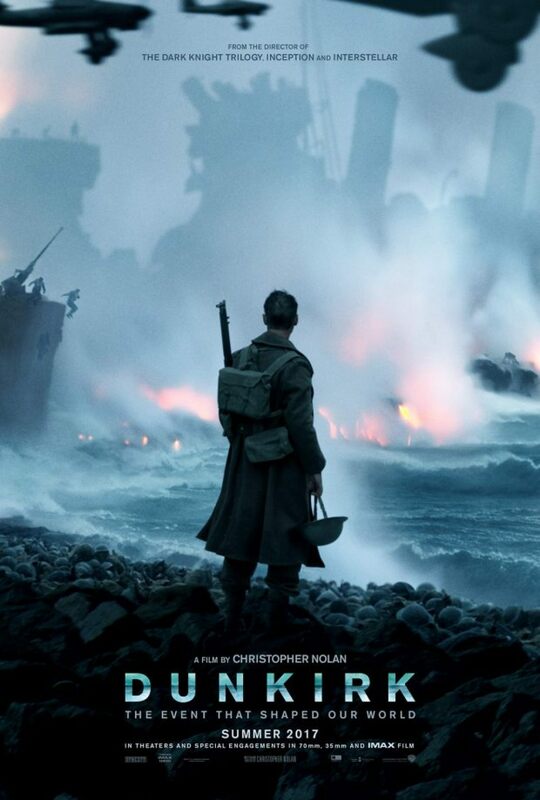 Having already treated us to Insomnia, Inception, and Interstellar, Nolan’s new movie is entitled InDunkirk (in some territories – specifically the interior of my head, but I digress). Oh, all right, it may actually be called Dunkirk, but it’s set in and around the town of that name, at the back end of May 1940. The story of Dunkirk has genuinely become a part of the British national myth, but I’m genuinely uncertain as to how well-known it is around the world. Nolan wisely takes no chances and opens the film with a set of captions filling in the story so far – with the Nazi war machine sweeping west across Europe, the British army and its allies find themselves surrounded in the French port of Dunkirk. With the enemy closing in, the need to get the men off the beaches and over the channel to England is becoming desperate. But how is the miracle to be accomplished? Nolan’s movie focuses on a handful of different storylines, set on land, sea, and in the air. A young soldier (Fionn Whitehead) makes his way to the allied enclave, and desperately attempts to get onto one of the ships taking soldiers off the beach, as discipline begins to falter amongst the trapped men. The owner of one of the ‘little ships’ (Mark Rylance) sets off across the channel, determined to do his bit and save as many of his countrymen as he can. And a Spitfire pilot (Tom Hardy) attempts to protect the ships taking off the army from the depredations of Luftwaffe dive-bombers. As you can perhaps discern, this is not quite a traditionally epic war movie, built around a specific narrative. Instead it seems to be trying to offer up an almost impressionistic experience of what it felt like to go through the ordeal of the Dunkirk evacuation. The storyline of the movie is quite straightforward, and there is correspondingly little exposition, just a succession of set-pieces. Nolan is, characteristically, attempting to do something clever and tricksy with the film’s handling of space and time, but it takes quite a while for this to become completely clear. While doing my research for this piece (quiet at the back – of course I do research), I discovered that Dunkirk is based on a script which Nolan wrote donkey’s years ago, long before his rise to prominence as a director. Apparently he put it on ice while he gathered enough experience making large-scale Hollywood blockbusters (can’t argue with a confident man, I guess), and in some ways it feels like something written in a different mode – it has some of the audacity of Nolan’s most celebrated work, but not really the narrative density or thematic strength which you associate with those films. He appears to be trying to make the film work more on a visceral level, but it is a qualified success at best in this regard. And I have to say that, while it still feels unlikely that Nolan will ever make a film which is less than accomplished and engaging, I left this one without the same joyous sense of having had the possibilities of cinema confirmed for me that I felt after all the other Nolan films I’ve seen. Naturally, I seem to be in a tiny minority on this one (just for a change), as many professional film-watchers are announcing this is Christopher Nolan’s best film yet, and a sign of him finally realising his promise as a film-maker. I don’t know, maybe it’s just me, but I do think it’s a bit suspicious that it’s Nolan’s first film in fifteen years that isn’t on some level a fantasy or an SF movie that has been hailed as marking his admission to the grown-up’s club. It seems you just can’t get respect making certain kinds of genre movie, even if they’re as exceptional as Inception or The Dark Knight. Then again it may just be that this is one of those films which it is just unacceptable to give a negative review to, not just because of the director and cast, but because of the subject matter itself – slightly absurd though it sounds, giving the thumbs down to Dunkirk could be interpreted as disparaging one of the defining moments in the modern British narrative, along with everyone involved in those events. We are in the middle of a bunch of movies about the Second World War at the moment – recently we’ve had Churchill and Their Finest Hour, with yet another Churchill bio-pic (Darkest Hour) being trailed before Dunkirk itself. Is it just a coincidence that all these films about Britain heroically going it alone should be making an appearance at the moment? I’m sure Nolan is not setting out to make particular political points with Dunkirk, but I note that the film’s parting shot – a reminder that this muddled withdrawal of Britain from Europe was not a triumph, and should not be treated as one – is not one of the elements being lionised by its supporters in the media. As I say, Christopher Nolan seems incapable of making a bad film, and watching Dunkirk should prove a memorable experience for virtually anyone: it is full of striking images, heart-felt performances, moments that stay with you. By almost anyone’s standards it is a good, if somewhat unconventional war movie and historical drama. But I have to say that of all the Nolan movies that I’ve seen, it’s the one I can least imagine myself sitting down to watch again and again, even if that says more about his exceptional track-record than anything else. It must be that time of year again, for there seems to be a conspiracy at work to make me feel stupid and/or lacking in true gravitas. It’s becoming very nearly an annual thing, as I say, and always just as awards season is kicking off in earnest: the great and the good announce their lists of contenders and nominees for the big prizes, I duly go along to check out some of the most lauded films, and emerge, bemused, a couple of hours later, honestly not entirely sure quite what the fuss is about. 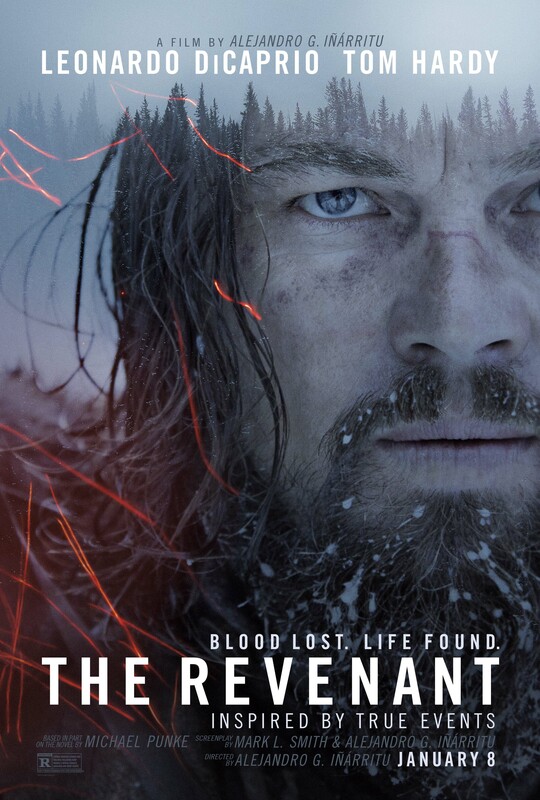 This is, admittedly, a slightly negative note upon which to start a review, but then it seems somewhat in keeping with the general tone of Alejandro G Inarritu’s The Revenant, which is one of most thorough-goingly bleak and uncompromising films I’ve seen in a long while. You want to hear about the story? Well, frankly, it strikes me as a rather secondary element of the film, but here we go: in 1823, a party of trappers in a remote North American wilderness find themselves under relentless attack by a war party of the local Ree Native American tribe. A handful of the men manage to escape the slaughter, due in no small part to the expertise of their guide and scout, Glass (Leonardo DiCaprio), a man well-versed in the ways of the locals (he even has a half-native son to prove it). Well, it sounds like the stuff of a fairly traditional action-adventure story, with a lot of western trappings, and I suppose to some extent it is: there are lots of shootings, stabbings, and various fights during the film’s very considerable running time. But it never really feels like an actual action-adventure, and probably even less like a western. It’s just a bit too relentlessly bleak and horrible for that. I was browsing around the blog last night, seeing what I’d written about other problematic Oscar nominees in the past, and I came across what I said about 12 Years a Slave. Many of the things I said then definitely rang a bell with what was going through my mind about The Revenant – ‘a horrific world of violence, pain, and misery’, ‘a grim and deeply uncomfortable experience from start to finish’, and ‘almost totally bereft of traditional entertainment value’. Well, I should make it very clear that I don’t think The Revenant is a bad film; by any objective standard, this is a film made with enormous skill and thoughtfulness. There are very few moments of it which are not strikingly beautiful to look at, and – while not as tricksy as the single-take shenanigans of Birdman – Inarritu engages in some bravura camerawork at key moments in the story. But at the same time I can’t help wondering if there is less going on here than meets the eye. On one level, this is a simple story about a man who simply refuses to die until he’s carried out his self-appointed mission, and what such a man is capable of (I wasn’t surprised to see that DiCaprio has said this is one of the toughest films he’s ever done, nor that he had five stunt doubles – I imagine the first four died mid-shoot). But on another level… well, that’s the thing, if there is another level I don’t really see what it is. It’s just buried a bit too deeply. It doesn’t really help that much of the peripheral plot feels a bit murky, too – the fact that a lot of the dialogue, Tom Hardy’s in particular, is delivered in such a thick accent as to be utterly unintelligible, is probably responsible for some of this. But there are subplots whose connection to the main story seem either unarticulated or entirely arbitrary – a party of Ree wander through the film, searching for a kidnapped young woman. They play a key role in the resolution of the climax but I’ve no idea why things play out in the way they do, based on what I saw in the rest of the film. Another relevant line from the 12 Years piece is ‘this sort of factually-inspired historical gloom-a-thon is almost always made with a view to pushing a particular political or moral point’, and this time around it’s the treatment of native Americans that the film has something to say about. It is, as you would expect, a very revisionist western (to the extent it’s a western at all), and while the Ree may carry out atrocities against the European characters, it’s made very clear that they are ultimately victims rather than aggressors. As I said, this is a serious film, and a well-made and good-looking one. I’m not completely sure if the performances are actually as good as all that, but I suppose the willingness of the performers to suffer for their art, not to mention their services to the growing of luxuriant beards, demand some sort of recognition. And I know the Academy likes serious films, and historical films (especially ones about American history). But 12 Oscar nominations? Really? That’s more than The Godfather, West Side Story, or Lawrence of Arabia, and The Revenant isn’t in the same league as any of them. I think it’s probably just a case of momentum, that this film is the work of a bunch of people whom the Academy, on some subliminal level, is aware it really likes and feels like it should be nominating on a regular basis – Inarritu, obviously, following his success last year, and also DiCaprio – who’s almost become one of those people whose lack of an Oscar colours how they are perceived. Maybe even Tom Hardy has also joined this club, he’s certainly done good enough work in plenty of high-profile films recently. The Academy is ultimately a political body with its own little quirks and fixations and I think it’s this that explains why The Revenant has done quite so well in terms of racking up the gong nominations this year. I will say again that it’s not a bad film, though neither will it suffuse you with joy and good humour: it is very heavy going. On the whole, much easier to admire than to actually like or enjoy. It’s not normally a good sign when you go to see a movie with a friend and can’t decide afterwards exactly what sort of film it was supposed to be. I suppose you could have gone to watch one of those films which sets out to subvert the whole idea of genre, but then those are always a dicey proposition. Generally it just means you’ve spent a couple of hours watching a film with a bit of an identity crisis. This is not inappropriate, now I come to think of it, when we are talking about Brian Helgeland’s vaguely-monickered new movie Legend. Legend concerns the lives of the infamous Kray twins, London gangsters of the 1960s, who were notable for being celebrities as well as criminals. This is by no means the first film to be about them, either directly or obliquely, but it has carved out a bit of distinctiveness for itself by using the miracle of modern technology to enable Tom Hardy to play both twins, a challenge he tackles with considerable gusto (maybe a bit too much gusto, but we’ll come back to that). The movie opens in the early 60s with the Krays rising figures on the London gangland scene, routinely watched by the police (when they’re not actually in prison). Reggie Kray is presented as the brains of the firm, a smooth, plausible-seeming businessman (though not averse to a spot of the old ultra-violence when necessary), while his brother Ronnie, according to the film, is a slightly thick criminally insane maniac. Fairly early on they dispose of their main rivals, the Richardsons, after a gruesomely violent bar brawl, and from then on the city is theirs. The film is mostly framed by Reggie’s relationship with Frances Shea (Emily Browning), the woman he eventually marries, but covers all the stuff you’d expect a Kray biopic to handle – gang warfare, the Boothby scandal, their connection with the Mafia, the murders of George Cornell and Jack McVitie, and so on. This is, inevitably, the kind of film which concludes with mugshots of the principals and captions relating what happened to them in later life (at the risk of spoilers: an awful lot of porridge). Helgeland has assembled an impressive, mostly British cast, including Christopher Eccleston, the ever-watchable Paul Bettany, David Thewlis, Tara Fitzgerald, and so on, but the focus is almost always on Tom Hardy. Now, as Reggie, I would say Hardy gives a customarily good performance. The problem is with his turn as Ronnie – it seems to me that playing both characters perhaps allows Hardy to take each a bit further than he would if he were playing only one of them. Or perhaps a good deal further, because as Ronnie he arguably goes way over the top a lot of the time. There’s rather more Dinsdale Piranha in Hardy’s glazed-eyed performance than is probably a good idea: he makes some rather curious choices, to say the least. ‘What accent is he doing?’ asked the friend of mine I saw Legend with, and I had to confess I had no idea. Is Tom Hardy genuinely playing a real-life convicted murderer for laughs? It’s difficult to say, and that itself is a little disconcerting. Then again, the whole film is arguably softer on the Krays than it should be – probably more than Peter Medak’s 1990 biopic was. As the title suggests, this paints the twins as glamorous, almost romanticised figures – ‘gangster princes… the city was theirs to conquer,’ gushes the voice-over at one point, while within minutes the film is trotting out that old chestnut that the Krays were lovely boys who only ever hurt their own, and you could leave your front door unlocked in the East End back in the old days… and so on. It’s not until close to the end of a long film that you’re reminded that terrorising witnesses was part of the Krays’ standard procedure, by which point it’s a jarring realisation. 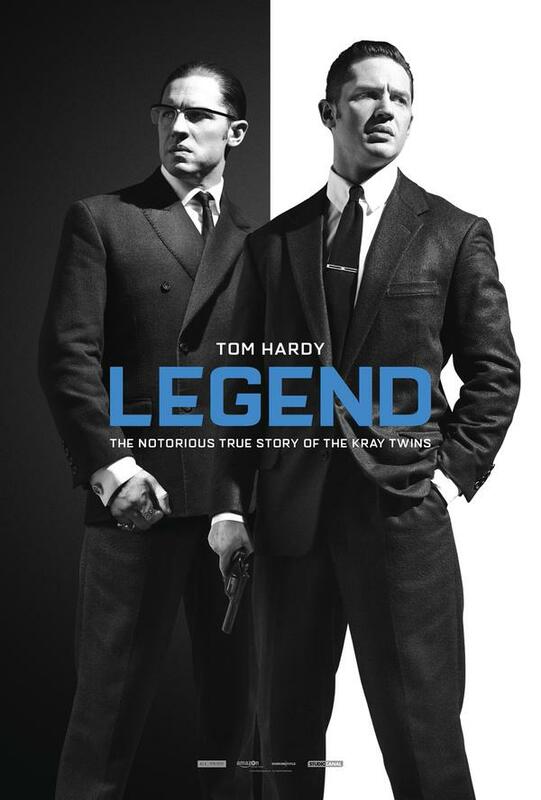 Even so, Legend has apparently been criticised by surviving members of the Kray clan for misrepresenting the twins – particularly the depiction of Reggie brutalising Frances Read, although the film doesn’t make reference to the allegation that Read was actually murdered by Ronnie. Whatever you think of the twins, it’s very difficult to shake the sense that their story has been stretched and twisted to fit Brian Helgeland’s agenda, which appears to be to incorporate some modishly savage gangland violence into an ain’t-those-Brits-quaint-style period piece. I’m not sure the intention justifies the changes – as ever, the morality of making an entertainment out of real life killers strikes me as questionable. And an entertainment this certainly is. On the way out I asked my companion (who is not well acquainted with British culture or recent history) what kind of film she thought Legend was, and she said she thought it was a dark comedy. I couldn’t honestly disagree, but on the other hand it can’t really avoid being judged as a based-on-true-events crime drama, either. The technical skill and commitment that has gone into the entirety of the film is undeniable, for it is by no means badly made, but – just as with Tom Hardy’s central performances – some of the creative choices that have been made are, to say the least, deeply questionable. A friend of mine who shall remain nameless once confessed to me that she would be well up for a torrid fling with Tom Hardy, ‘even though I’m practically certain he’s a [redacted] who would treat me like [redacted]’ (before Mr Hardy’s legal team get in touch, this is just one person’s opinion – I’m sure Tom is a lovely guy and a joy to be around, not to mention chivalry incarnate to any lady lucky enough to have the pleasure of his company). Certainly things have got to the point where Hardy’s reputation is beginning to precede him – a reputation for a certain kind of unchecked machismo and startling intensity – coupled to a facility for personal transformation that perhaps doesn’t always get the credit it deserves. If nothing else, his ability to steal scenes and movies from bigger stars is noteworthy. It’s not a talent he gets the chance to use much in his new film, Steven Knight’s Locke, if only because he’s the only person whose face is seen at any point in the movie. 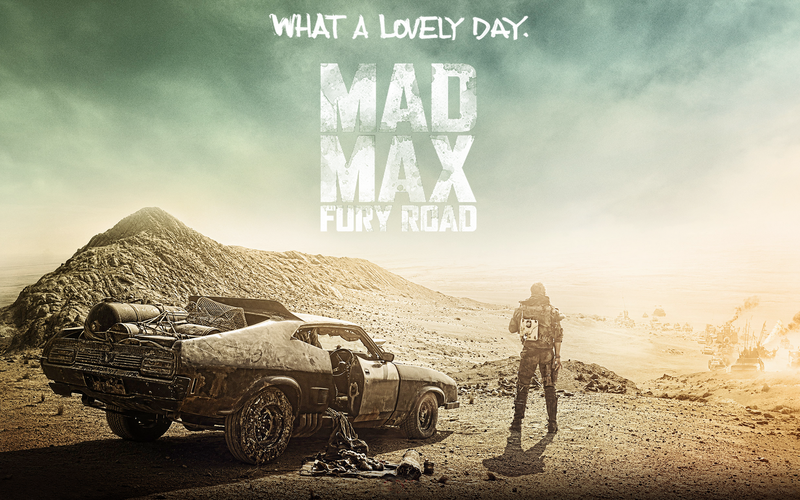 This is very much a star vehicle for Hardy, but the emphasis there should be very much on the word ‘vehicle’ – the actor spends practically the entire film in a car. There is a breath-taking creative alchemy at work in Locke. This is a film about a man driving from Birmingham to London via the M40, and spending a significant portion of the journey talking about the mechanics of pouring concrete foundations. This is not promising material (the story, I mean, not the concrete). And yet Locke proves to be an utterly mesmerising drama as well as a character study of a man undergoing the crisis of his life. Steven Knight was the writer and director of last year’s superior Jason Statham movie Hummingbird, and while I thought that was a solidly put-together film, Locke displays unexpected levels of economy and subtlety in its writing. In the course of only 85 minutes or so, in only a single cramped location, and through the mechanism of phone calls to a handful of people, Knight and Hardy together manage to create a fully rounded and entirely convincing portrait of a real human being. Ivan Locke is a construction engineer, essentially a builder. His family background contains some demons, or so we are invited to surmise. Dozens of little details, not least the affection and respect he is treated with at the start of story, indicate that he is a man who has spent many years striving to be responsible, reliable, trustworthy, solid. He has a good job and a loving family. But he has made a mistake – just one mistake, and perhaps an excusable one. And now, as much due to savage bad luck as anything else, his entire life is collapsing around him. Locke spends the film driving, but he also seems to be a driven man: the personal catastrophe overtaking him is at least partly self-inflicted. His stubbornness and honesty in taking responsibility for his actions and owning up to the truth borders on the masochistic, perhaps even unrealistically so, but it is the main hook of the film. This is a story about a man ferociously trying to do the right thing, no matter what the cost to himself, and story behind the story is why he is doing this at all. The film does just enough to suggest why. Some of the advertising for Locke appears to suggest it is a high-octane thriller with Tom Hardy going nuts in a car for the entire running time. It seems very strange to me that this is being described as a thriller at all, as the storyline is – by the standards of most current films – almost absurdly small-time. Can Locke get the phone number of the councillor he needs to sign off on some road closures? Can his assistant track down some Polish labourers in time? And yet in a strange way it’s the very inconsequentiality of the story that gives the film its power, makes it so personal. Another brilliant Tom Hardy performance helps, of course: never mind bulking up and talking through a gas mask for two and half hours, there are times in this film where Hardy disappears into his performance more than ever before. Perhaps this is partly because Locke is a much less extravagant character than the ones he more commonly plays, or perhaps it’s the sheer attention to detail in his performance: the Welsh accent he puts on throughout is flawless, for example. But I think it’s also the fact that this is almost the polar opposite of the typical Hardy performance: you go along to see one of his films anticipating the moment when he really cuts loose, one way or another. But Locke is about a man battling to keep it together – the people he’s talking to are the ones who are losing it, by and large. The film even suggests that it’s this very measured, controlled quality of the man which may be the root source of his travails. Only at a few moments does the mask slip and some of the expected ferocity burst through. Hardy dominates the film, but the people he’s talking to on the phone play important roles too. Olivia Colman is a woman in his life, Andrew Scott his assistant, Ben Daniels his boss. They are ultimately really just sounding boards for Hardy, I expect, but still essential for all of that. The need for exposition saddles a few of these people with some fairly awkward dialogue, but the end result is more than good enough to justify this. 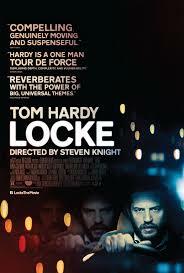 Locke is one of the most distinctive British films of the year, and certainly one of the best. Director and star both work minor miracles in making such a small, deliberately limited film so compelling to watch. The end itself is perhaps a little inconclusive – I was left dying to know what the next day would hold for Locke – but then again this film is all about the journey anyway. It is a gripping, moving, occasionally darkly funny, very powerful piece of film-making, and a terrific showcase for both director and star. Recommended.